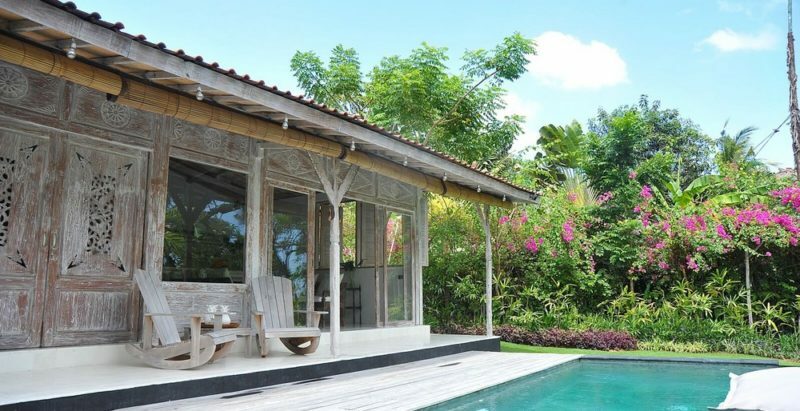 Santai Beach House has an intimate sunny garden spread out over 2 layers of tropical land with green grass, pink flowers and frangipani trees. A 30 meters long pathway leads directly to Pererenan Beach! The infinity swimming pool provides refreshment and is ideal to relax on with floaties. You can also unwind on the bean bags laid on the poolside timber deck or chill out while reading a book or enjoying drinks after a nice sunbathing session under the traditional alang-alang roofed gazebo tucked away in the corner of the garden. On the veranda, there are 2 vintage swing chairs for ultimate relaxation while watching Bali’s breathtaking sunsets. 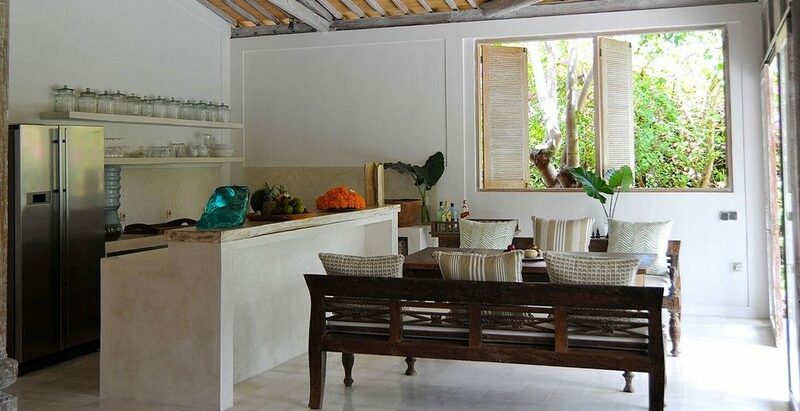 All 3 bedrooms at Santai Beach House maintain the spacious and light vibe that is felt in the entire property. 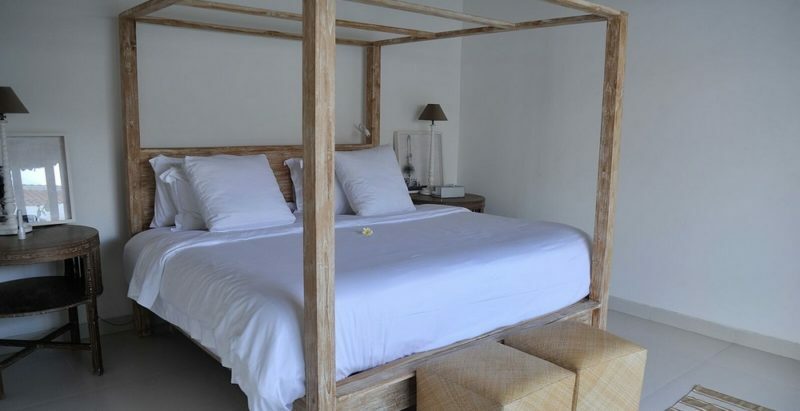 The master bedroom and the second bedroom both feature king size beds, while the third bedroom houses 2 queen size beds. 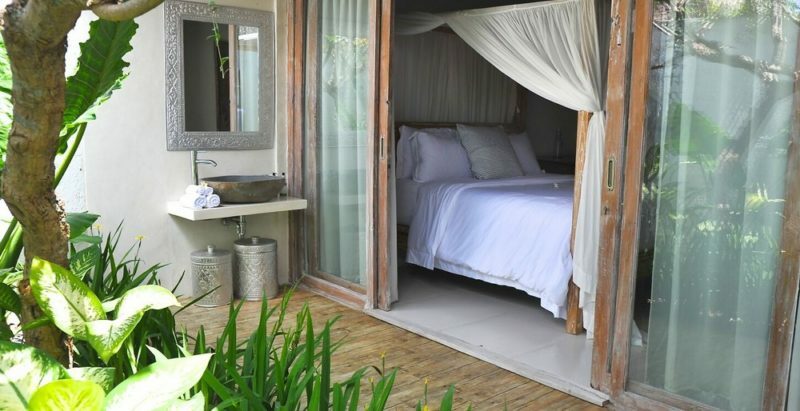 The master boasts an ensuite bathroom, while the other bedrooms showcase open bathrooms giving guests a true Balinese experience. 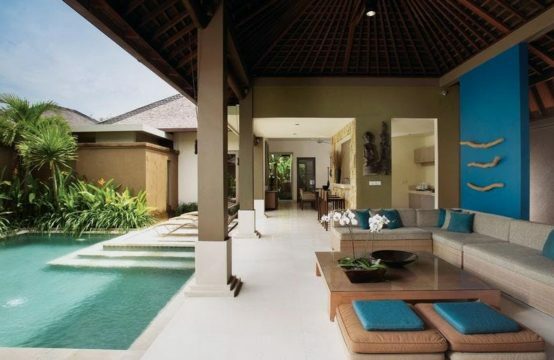 The Santai Beach House offers guests something different — serenity. 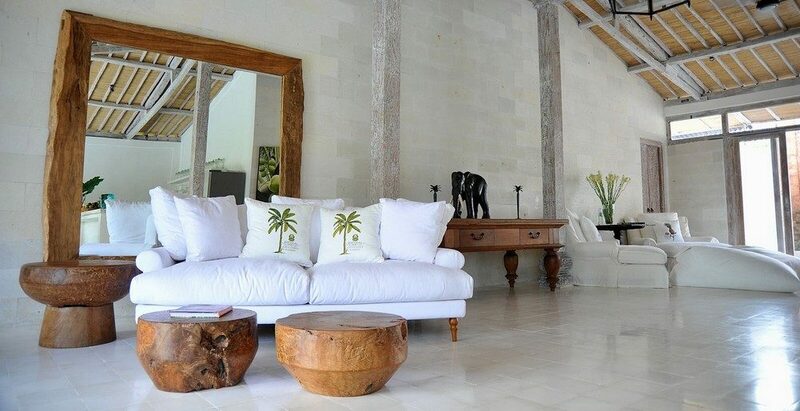 All rooms are equipped with air conditioning, and there are several sitting areas within the property to ensure the highest level of comfort. 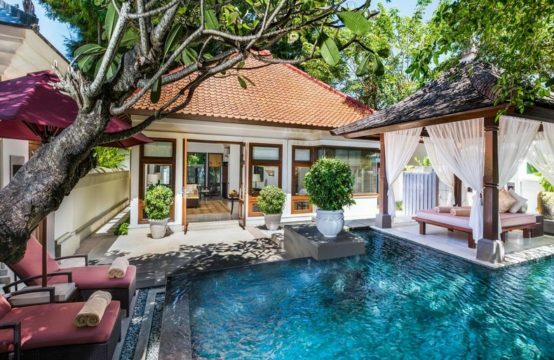 Not to mention, the private swimming pool has a shallow area for smaller children, is ideal for morning swims, and also has bean bags perfect for those who wish to catch a golden tan. 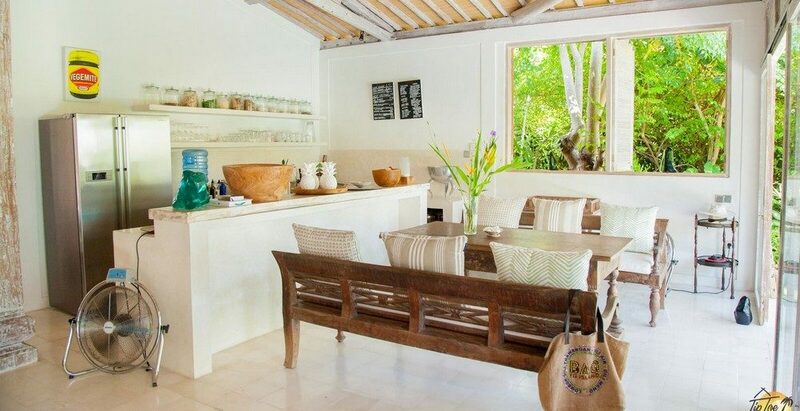 Santai Beach House is staffed with a housekeeper, and gardener & pool attendant. The staff guarantees you an amazing and relaxing time for the whole duration of your trip. A private chef who can prepare meals is available upon request at an additional cost. 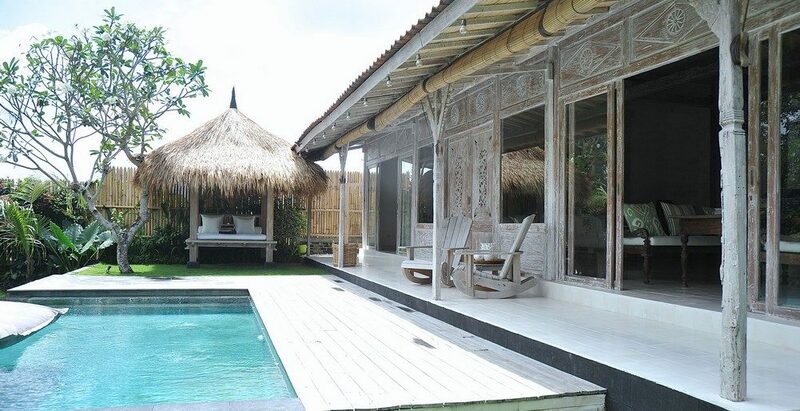 Santai Beach House is located in Pererenan, a traditional Balinese Village on the outskirts of Canggu. 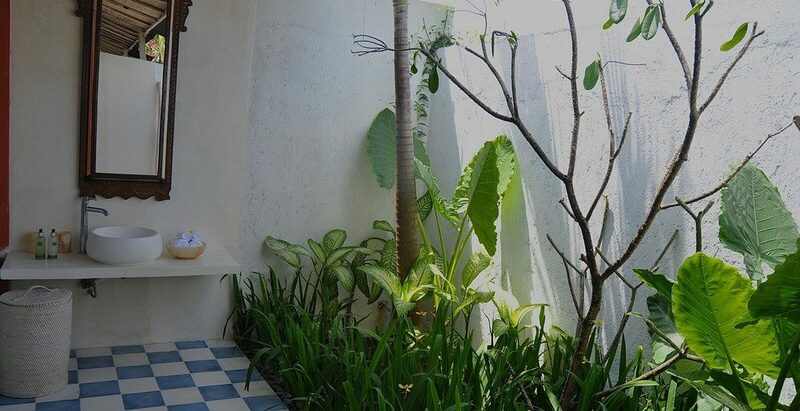 This area has seen modern eateries and restaurants populating its main road over the last 6 months – making it a convenient alternative to the hustle and bustle of Batu Bulong and Echo Beach.